I’ve decided to start adding Friday reposts from recovery blogs that offer a messge of hope. Anyone who has blogged for 10 years as I have knows how hard it is to continue to create new posts. There are over 400 blogs that I scan in various RSS readers so I scan a lot of good blogs. But what is there to do with them? So Fridays will be reposts about messages of hope to last us throught the weekend. 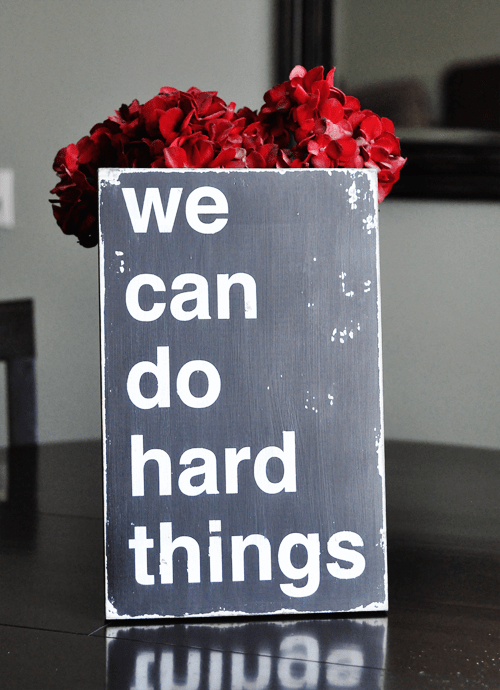 I liked the saying we can do hard things. It is something I should say to myself every morning, Certainly getting sober while living with severe PTSD was a huge climb up a mountain but I am so glad I do not need to do it alone anymore. I have read your blog and like that you are writing about exactly how you feel during your panic attacks. There is a good FB group for those of us with mental illness–Group Beyond Blue. Hope it helps.